(s) Stingray Digital Group Inc.
We recently completed the transition of our mobile app from THE KARAOKE Channel brand name to Stingray Karaoke. Not only did we rebrand The KARAOKE Channel app as Stingray Karaoke, we also redesigned and improved it with new features and released an Android version. Alone or with family and friends, it’s always time for a karaoke party! Display the app on your TV with Apple TV, Google Chromecast or via an HDMI cable for even more fun. 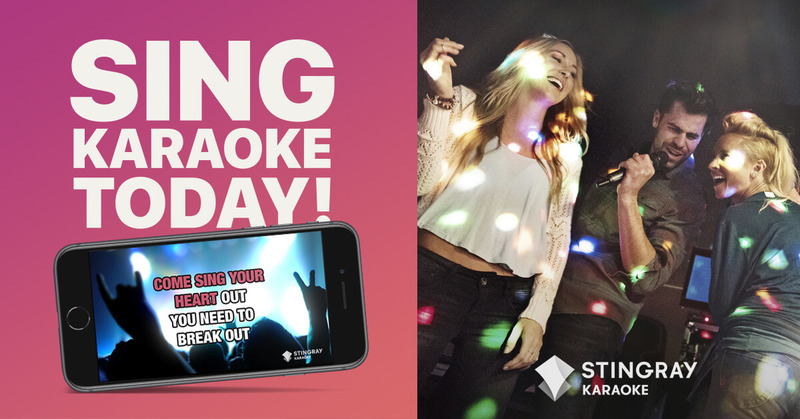 Try Stingray Karaoke for free with a selection of great songs that are refreshed monthly or purchase an in-app subscription to sing along to more than 13,000* songs! • High-quality karaoke videos streamed over your mobile network or Wi-Fi to your phone or tablet. Switch to lyrics on black to save on bandwidth costs. If you want to sing it, Stingray Karaoke probably has it! The full song catalog consists of more than 13,000* licensed karaoke songs in many genres, eras, and languages. Songs by today’s artists such as Shawn Mendes, One Direction, Taylor Swift, Justin Bieber, Adele, and more. Songs by yesterday’s legends: Elvis, The Beatles, Bon Jovi, Queen, ABBA and more. Genres include pop, rock, R&B/hip-hop, Disney, country, Latin, and more. “Sing with the Stars” with Yokee! How to throw the BEST Halloween Karaoke Party!